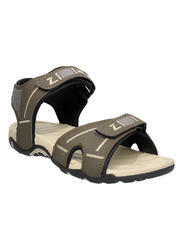 We are a renowned name, which is engaged in offering Adidas Mens Sandals. we are offering wide range of Adidas Mens Sandals. Step out in these adidas Alsek sandals for men. Made of supportive yet sleek with adjustable straps, the Synthetic upper has a adjustable straps with Die-cut EVA midsole for stable cushioning and Textured footbed for comfort. They come with an Abrasion resistant Rubber outsole with wet and dry traction pattern and a protective toe-lip. Our company has been successful in winning appreciation from the clients as one of the most prominent names in the trading of Adidas Mens Sandals. We are a top notch supplier of Adidas Mens Sandals. Our reputed entity is engaged in supplying Adidas Mens Sandals. We are engaged in offering Adidas Mens Sandals.